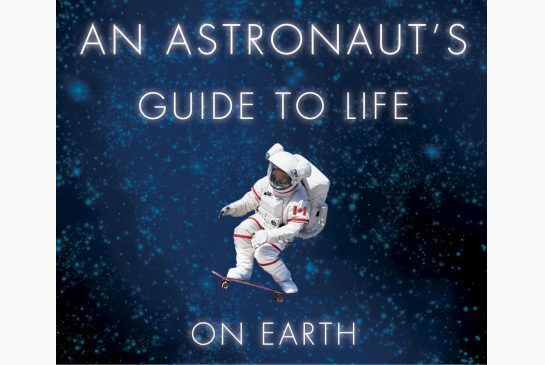 This Christmas I, along with my father and probably most other Canadian citizens, received a copy of An Astronaut’s Guide to Life on Earth, by our own astronaut Chris Hadfield. Hadfield joined the Canadian Space Agency as an astronaut in 1992, but rocketed to fame in 2013 as commander of the International Space Station Expedition 35 by bringing a tremendous social media presence to the trip – tweeting, creating a tumbler blog, and recording a music video in space. He received even more attention in his home country, being the first Canadian commander of the ISS. It was after his return that An Astronaut’s Guide was published. There is certainly value in this. I can vividly recall a meeting involving some vice-presidents at my first job out of university. I went in with my material, but was not well prepared. While I wasn’t taken to the mat for it, enough pointed questions were asked of me that it was clear to everyone there just how not ready I was. I got pissed off, and decided then and there to not let it happen next time. When the follow up session came around, I beat my material into submission. I knew it every which way around, had all my assumptions laid out and ready to defend, analysis to support my position, and data to support my analysis. I sat down in the meeting room and (in my mind) dared anyone to question me. That incident parallels my experience with preparedness in general. The less prepared I am, the more likely it seems I am to be called on or need to use what I failed to prepare. The more prepared I am, the less likely I am to need to fall back on my work. I’m not sure how the correlation/causation fits into that mess, but all in all I would much rather be prepared and not need it than vice-versa. In all of these roles you are spending upwards of 90% of your time preparing for some crazy difficult and intense task, and 10% of your time doing said crazy task. The advice to over-prepare is oft-repeated, and varied slightly (sweat the small stuff), and illustrated by Hadfields wonderful stories, but the advising tends to thin out as the book progresses. So the advice we get is useful, but limited and needs to be considered in context of the author. But that’s fine, because at its heart An Astronaut’s Guide is less of guide and much more of a memoir and insider’s view into an amazing world. Hadfield takes us through the journey of his career – effectively starting with his advancement through the Royal Military College, describing his responsibilities as a fighter pilot, detailing the astronaut selection process, and then delving into many stories of his time with NASA, including three trips to space. Hadfield has a magic hat full of entertaining stories, from emergency spacewalks prepared in a day instead of the typical months long procedure, to a real life version of the movie Snakes on a Plane. Hadfield’s tone is incredibly conversational and easy to read – I could definitely picture him sitting across from me, drinking a beer and telling these stories. This book goes a long way in continuing Hadfield’s social media and other outreach work in presenting the daily realities of an astronaut to those of us who dream to become one. If you are at all interested in what the real life of an astronaut is like, I heartily recommend this book. This entry was posted in Muse Reviews and tagged Astronaut, Book Review, Canadian Space Agency, Chris Hadfield, Fighter Pilot, Non-Fiction, Test Pilot. Bookmark the permalink.